QTY 1234567891011121314151617181920212223242526272829303132333435363738 Please select a quantity. 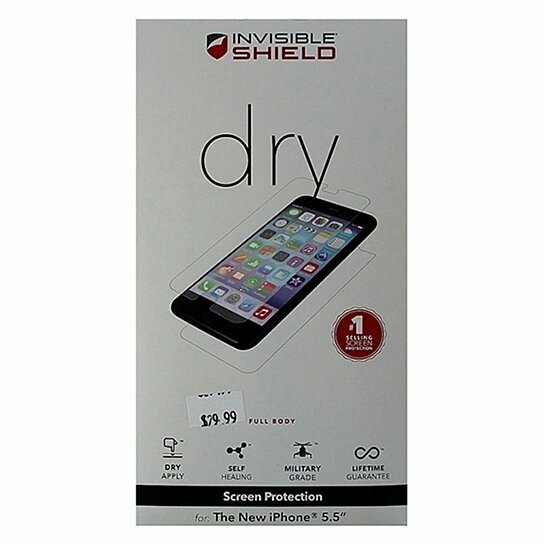 ZAGG products, Invisible Shield Series, Full Body Dry Apply Screen Protector for Apple iPhone 6 Plus / 6s Plus. Dry application, Self healing, Military grade. 2 Protectors cover front and back of device.